A hidden killer . . .
A conspiracy of treachery. . .
And two people caught in the most desperate game of all . . . 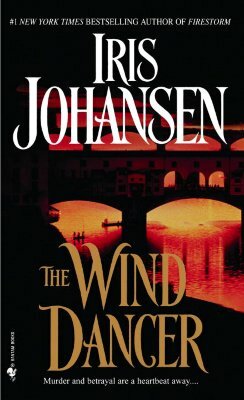 In Renaissance Italy, intrigue is as intricate as carved cathedral doors, but none is so captivating as that surrounding the prized Wind Dancer, the lost treasure of a family—and of the man who will stop at nothing to reclaim it. Lionello Andreas is bound by his vow to guard the exquisite statue. But to recover what is rightfully his, he will need the help of a thief—one he can control body and soul. He finds his answer on the treacherous backstreets of Florence, in a sharp-witted young woman whose poverty leaves her no choice. But in the end, the allure of the Wind Dancer, and the ruthlessness of those who would possess her, will catapult them both into a terrifying realm where death may be the most merciful escape. Iris Johansen is the New York Times bestselling author of many novels, including Killer Dreams, On the Run, Countdown, Firestorm, Fatal Tide, Dead Aim, and No One to Trust. She lives near Atlanta, Georgia.